Celery seeds are so small that it takes more than 45,000 of them to yield one ounce. But don’t let their diminutive size fool you, as it only takes a couple of these tiny, aromatic seeds to bring on a mouthful of celery stalk flavor! Celery seeds come from the celery plant — the same plant that provides celery stalks. While they are not as well known as the stalks, celery seeds offer numerous benefits and are a good addition to your spice collection. Widely used in India for thousands of years, celery seeds have become more popular in modern cooking for their taste and health benefits. In the culinary world, celery seeds often lend a spicy, warm flavor to salad dressings and sauces. 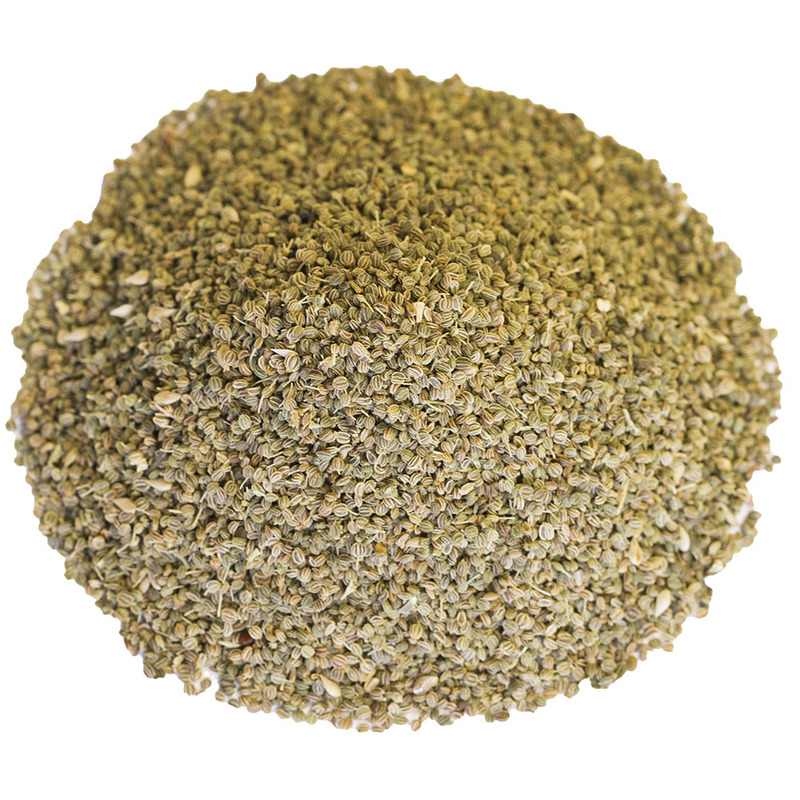 Celery seeds can be used as a cooking spice, either whole or ground. Their extract is used in essential oils and herbal medicines. They are small, tan, and brown, with a strong but pleasant aroma. 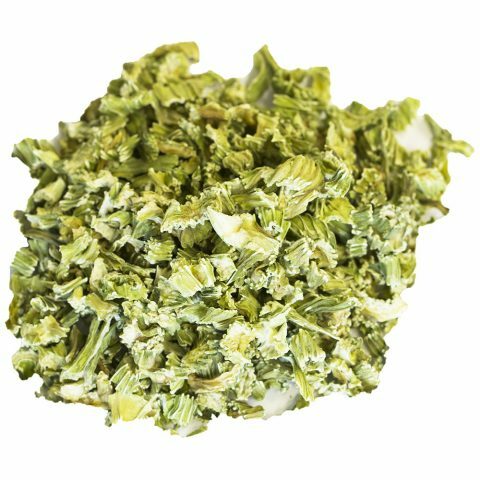 Our celery seeds come to you whole so that you can freshly grind them at home with a spice grinder or a mortar and pestle. Touted for its ability to treat many health problems, including the flu, colds, water retention issues, poor digestion, and arthritis, celery seeds have been used in traditional medicine for thousands of years. They have been used to treat insomnia, high blood pressure, cognitive problems, and other disorders. Celery seeds add an earthy, savory flavor to many dishes. Generally used as a flavoring or spice, they are a good source of calcium and have many health benefits. Some people even use celery seeds because of their purported role in weight loss. If you enjoy the flavor of celery, celery seeds are an accessible and long-lasting ingredient for your pantry. Pickles: Soaked in a brine with dill weed, garlic, mustard seed, vinegar, and celery seeds, cucumbers become flavorful, healthy pickles. Soups: Celery seeds can be found in variations of the classic chicken noodle soup. Their flavor adds to the soup’s broth, alongside chicken, onion, celery, parsley, pepper, and bouillon. Celery salt: By making your own celery salt, you can avoid the additives that are in many store-bought seasonings and create a flavorful option at home. 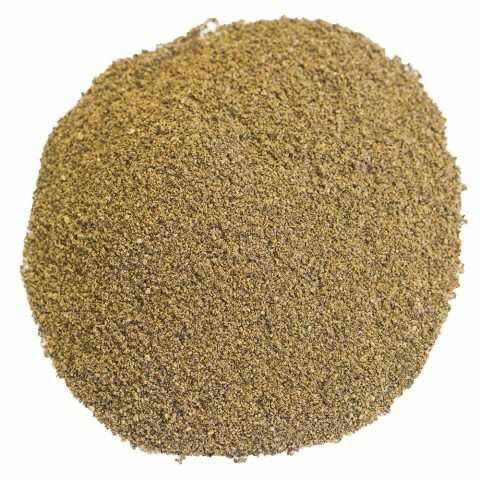 Grind and blend celery seeds with high-quality salt and then use the celery salt for cocktails, pork, coleslaw, eggs, salads, stews, and many more dishes! In addition to its culinary adaptations, celery seeds are used to treat arthritis, gout, cramps, inflammation, and high blood pressure. The leaves and stalks of celery have been consumed throughout the world for centuries. Celery seeds are often used as a flavoring or spice, either whole or ground. They are an important ingredient in Indian and European cuisine. Leaf celery, the cultivar found in East Asia, is likely the oldest form of celery. It was in East Asia that the Ayurveda used celery for its herbal healing properties. In 32 AD, Aulus Cornelius Celsus wrote that celery seeds could be used to alleviate pain. 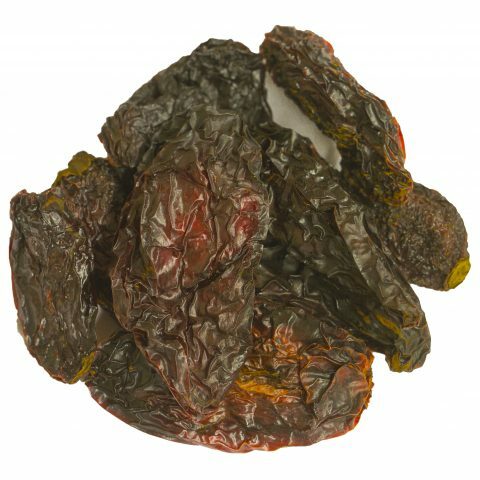 It was also used in ancient times to address water retention issues, arthritis, and inflammation. Celery leaves were found in the tomb of Tutankhamun, who was buried in 1323 BC. Celery was likely used for medicinal purposes before 850 BC. By the classical period, celery was being cultivated more widely; it was treated as a holy plant and increasingly used in cooking. It is mentioned in ancient Greek texts, such as Homer’s Iliad, and in writings from medieval Europe, to name only a few. The Italians domesticated celery in the 17th century. While contemporary celery is thought to have originated in the Mediterranean, wild celery can be found throughout the world. Celery seeds have had surprising applications throughout history. For example, celery seed extract provides the flavor for Dr. Brown’s Cel-Ray soda, which has been sold in the United States since 1868. Ground celery seeds, when mixed with salt, make celery salt, a seasoning that is often used in cocktails, such as Bloody Marys. Celery seeds come from the celery plant (apium graveolens), a slender marshland plant. Celery plants grow to about 3 feet tall, with long fibrous stalks, segmented leaves, and small white flowers. Growing celery is generally considered to be a challenging task. The celery plant has a long growing season but a low tolerance for cold and heat. Because of its temperament, celery is often grown in a hot bed or an open garden, depending on the season and location. The seeds are harvested in the second year of development, and the fields are typically harvested only once a year. 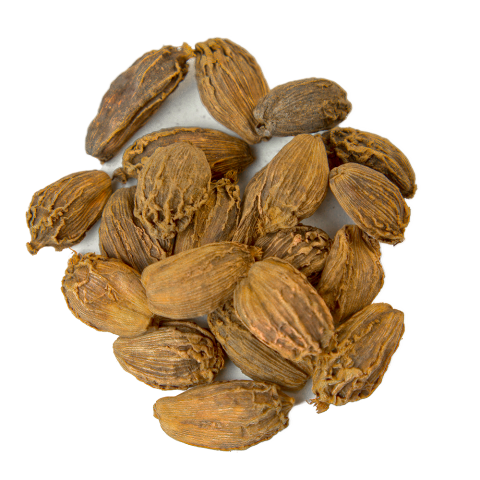 Celery seeds are actually a very small fruit and are used for their essential oil, either whole or ground into a spice. Our celery seeds come from India. They are often considered to be one of India’s most versatile spices; you can find them in soups, pickles, stews, tea, soda, sandwich fillings, and more. We source our celery seeds from some of India’s best producers. When you order celery seeds from us, you will get just that. Our spices never have fillers or additives.